We have seen some cool trucks in our days but none of the them turn heads quite like the 2006 Chevy Silverado Milkman Duramax Diesel powered Mega Truck. The guys over at All Out Performance built this one of a kind mega truck. It features a full custom tube chassis, 2.5 ton rockwell axles, powerglide transmission and of course one healthy LBZ 6.6 Liter Duramax Diesel power plant built and tuned by Pela Performance. You might ask in a world dominated by blown alcohol injected big blocks, why a diesel? Well the answer is simple. Torque. Diesels make gobs of torque which is much needed in the mud. Diesel make this for less than half the price of a blown big block and they are super reliable. Milkman always pulls up to the line while his competitors are trying to get their blower motors to fire. John Sasser the driver of the Milkman hasn’t won any races but he can hang with the fastest guys and usually finishes in the top 3-5 at the races. For more Milkman Duramax Mud Truck Videos check out the Busted Knuckle Video Youtube Channel. 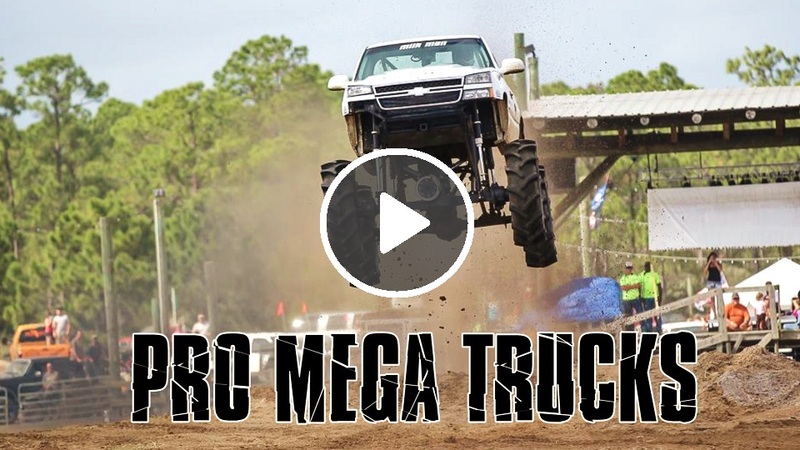 See the Milkman Duramax Diesel Mega Truck in Action in the video below. Milkman is part of the Pro Mega Trucks Team that race at now race at Monster Jam Events.